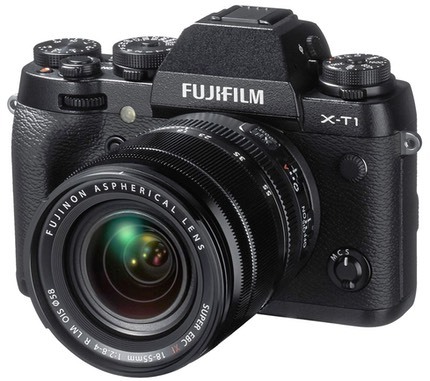 Fujifilm today officially announced the camera they've been teasing for weeks now, the X-T1. This 16mp X-Trans II sensor camera is styled like a DSLR (mid-camera prism hump), and a retro one at that (widespread use of traditional dials instead of buttons). While Fujifilm technically has positioned this camera between the X-Pro1 and the X-E2, the X-T1 is in my mind the new top of Fujifilm's lineup. It has far too many improvements over the X-Pro1, with the only thing the X-Pro1 having that the X-T1 doesn't is the optical/electronic viewfinder. Along with the X-T1 Fujifilm also announced their first weatherproof lens, the 18-135mm f/3-5-5.6 OIS. This new lens will be available in June as a kit lens option for the X-T1. We're now in a tricky spot in the market for interchangeable lens cameras. The Olympus E-M5 and E-M1 (and tomorrow's E-M10), the Fujifilm X-E1/2 and X-T1, and the Sony NEX-6/7 and A7/A7r have all put in strong challenge statements to DSLRs. 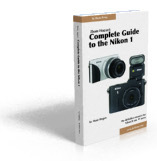 I get a lot of email every day from Canon and Nikon DSLR users either inquiring about whether they should switch to a mirrorless camera or indicating that they're already in the process of switching. Quite frankly, a lot of this is chasing the greener grass syndrome. So let me make a few generalized comments. First, as of today, the best balanced interchangeable lens camera that is capable of the best possible image quality is the Nikon D800. It has been since it was announced nearly two years ago, and it continues to be the camera to knock off today. Of course, it's a US$3000 camera that we can put US$14,000 lenses on, so it ought to be good ;~). The Sony A7r may have the same sensor, but it's not quite the same camera when you do a head-to-head comparison (e.g. slower focus, slower frame rate, etc. ).